Historical, anthropological, and philosophical in approach, Buddha in the Crown is a case study in religious and cultural change. 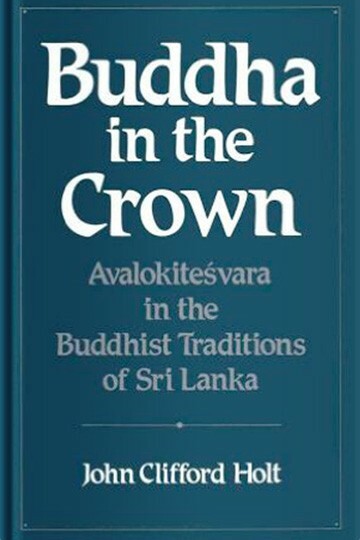 It examines the various ways in which Avalokitesvara, the most well known and proliferated bodhisattva of Mahayana Buddhism throughout south, southeast, and east Asia, was assimilated into the transforming religious culture of Sri Lanka, one of the most pluralistic in Asia. Exploring the expressions of the bodhisattva’s cult in Sanskrit and Sinhala literature, in iconography, epigraphy, ritual, symbol, and myth, the author develops a provocative thesis regarding the dynamics of religious change. Interdisciplinary in scope, addressing a wide variety of issues relating to Buddhist thought and practice, and providing new and original information on the rich cultural history of Sri Lanka, this book will interest students of Buddhism and South Asia.